April 2019 kicks off San Francisco’s first-ever Month of Climate Action, bringing to life Mayor London Breed’s vision of community action in service to our environment and our City. 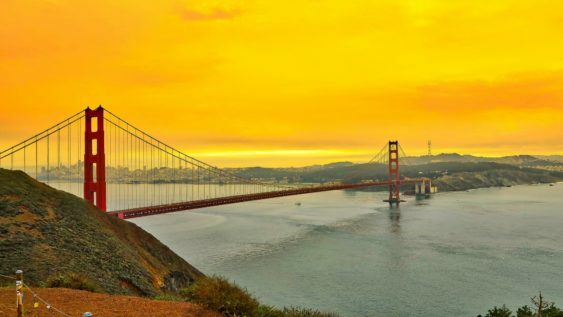 Thanks to the San Francisco Department of the Environment for curating this awesome list of ways to make a change right in here the bay. Chai Bar: 1019 Market St. Le Grand Community Garden, 264 Dublin St.
Earthday Birthday at the EcoCenter! Earth Day Craft: Grass People! Adah’s Stairway, 100 Buena Vista Ave.
Daniel Weisz, Assistant Professor of Astronomy at UC Berkeley, presents a talk on Resolving the Local Universe with the Hubble and James Webb Space Telescopes highlighting the amazing science and images produced by Hubble observations of local galaxies from the past three decades. The pinnacle of these studies is the Panchromatic Hubble Andromeda Treasury (PHAT) program, an 800-hour Hubble survey of our sibling galaxy Andromeda, and one of the largest Hubble programs ever conducted. Weisz will describe the PHAT survey and its scientific impact and discuss plans for the James Webb Space Telescope, which will succeed Hubble as the most sensitive telescope in existence following its launch in 2021.